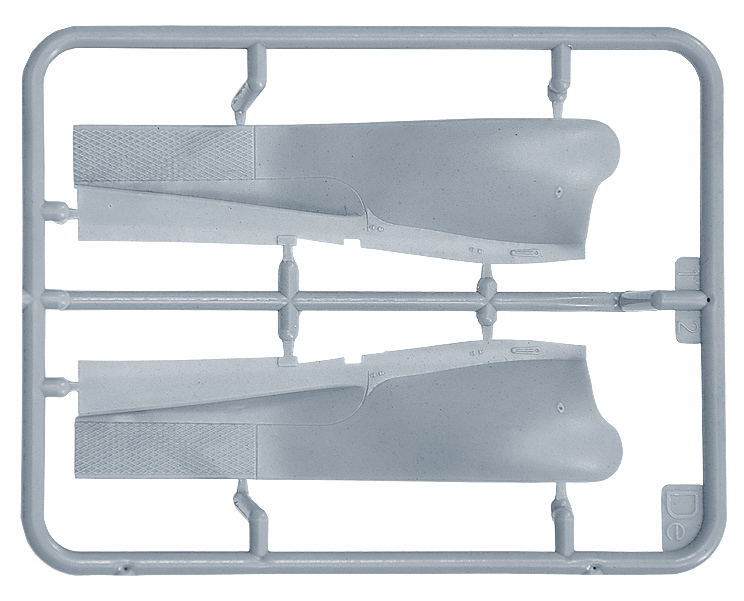 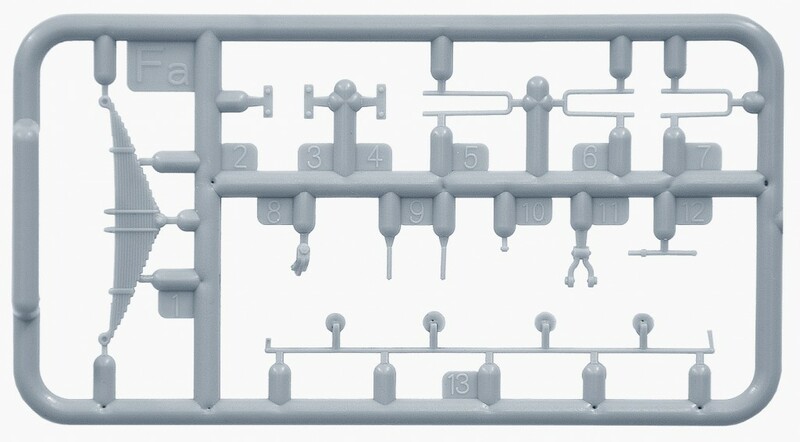 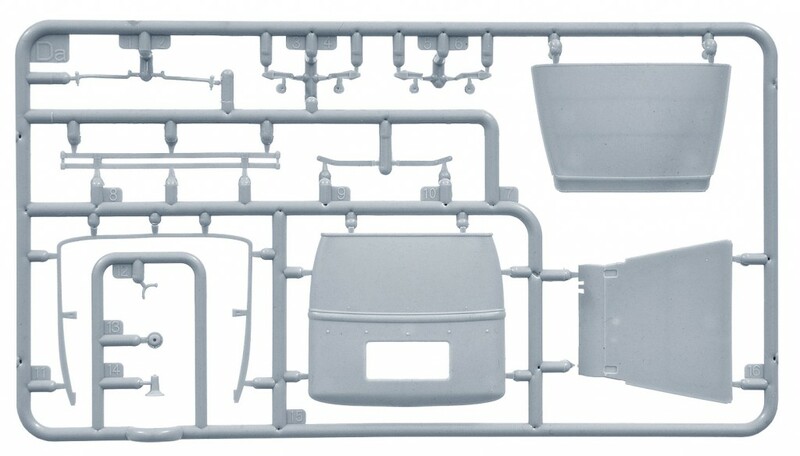 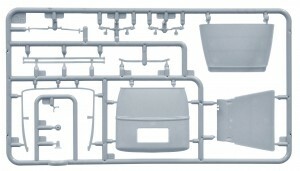 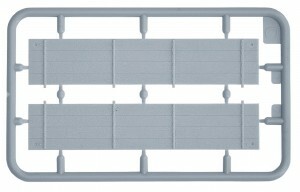 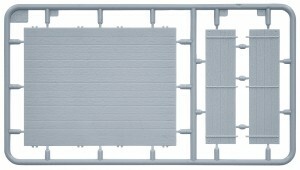 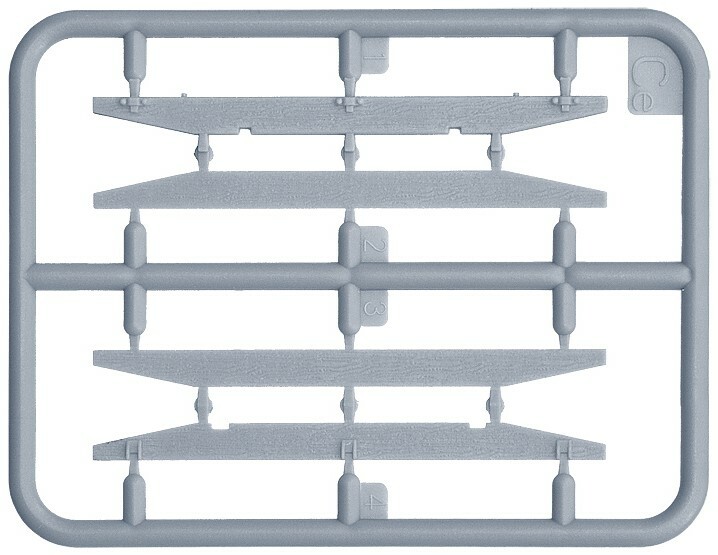 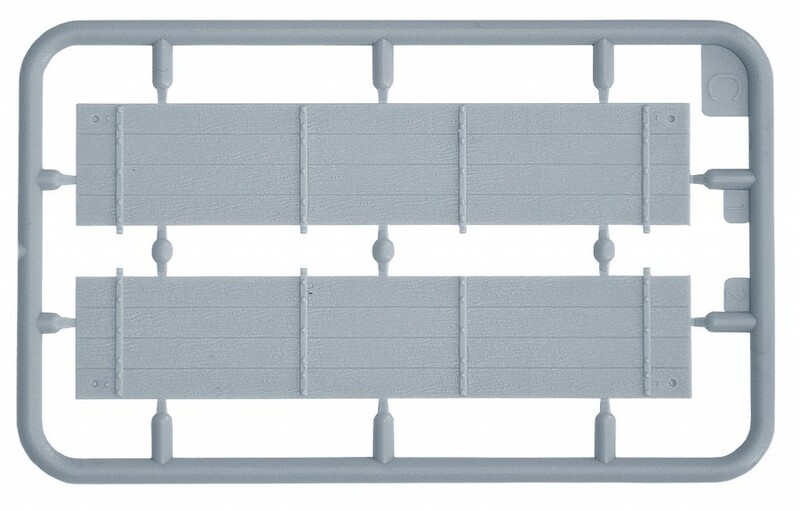 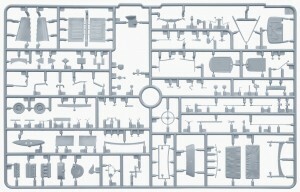 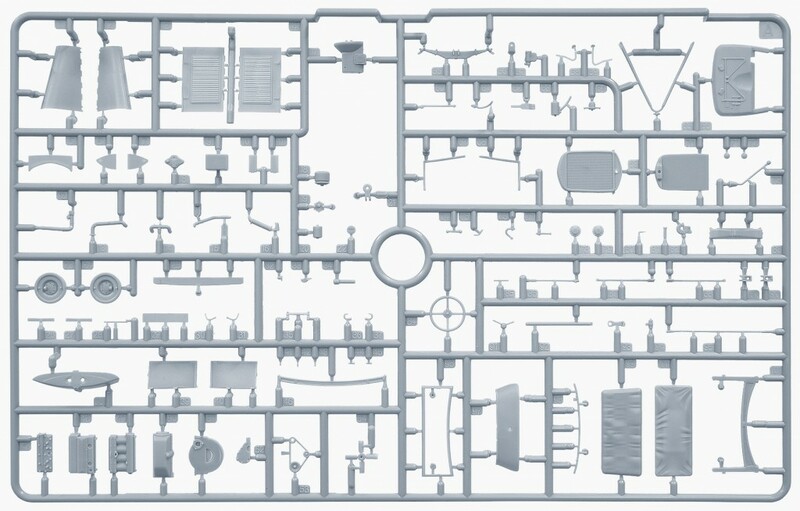 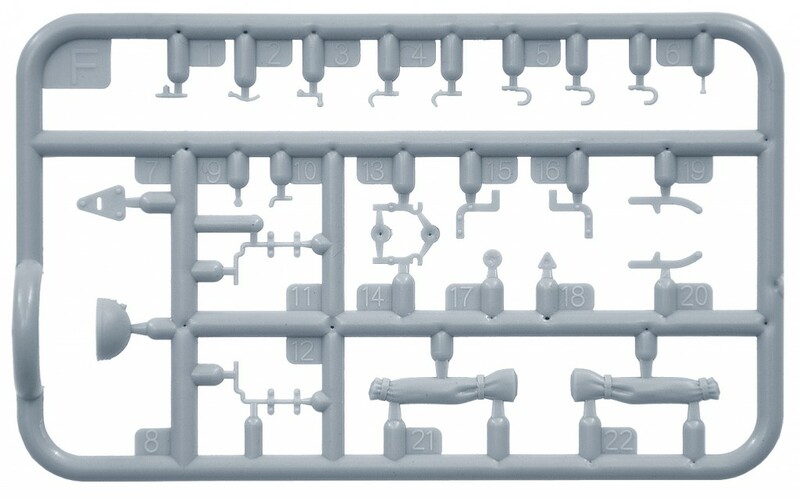 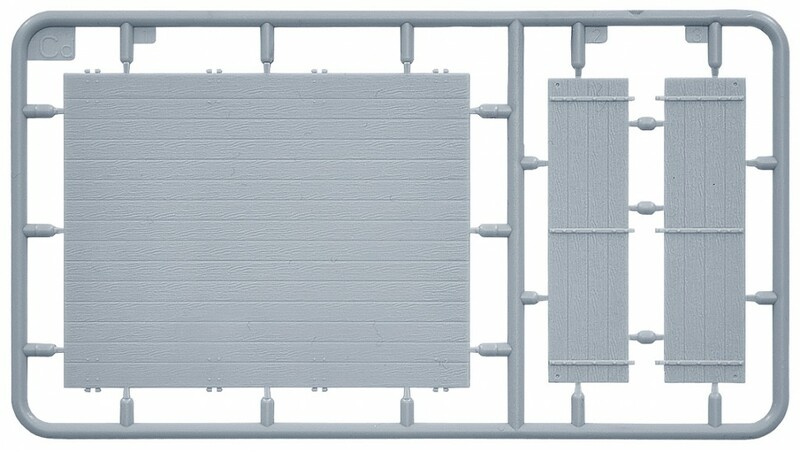 Set includes model of a cargo truck and two figures. 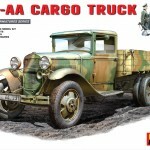 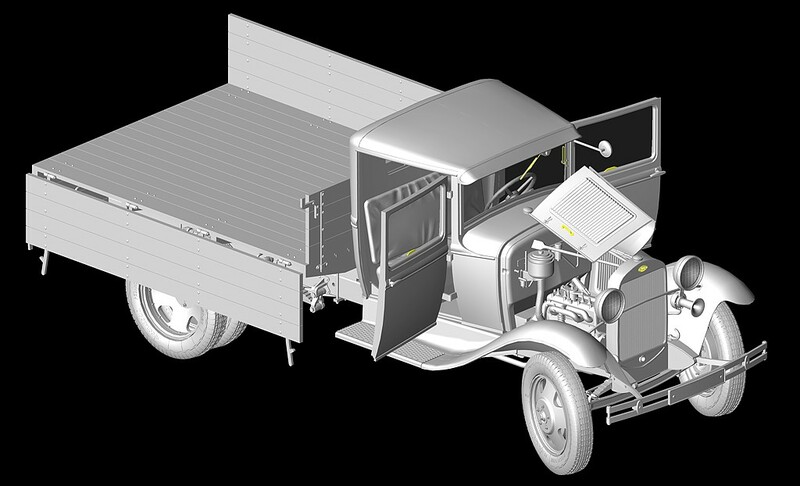 GAZ-AA – cargo truck which was produced by Nijegorodsky Avtomobilny Zavod (translated as Nijegorodsky Automobile Plant) in 1932, after by Gorkovsky Avtomobilny Zavod (translated as Gorky Automobile Plant) was producing GAZ-AA trucks). 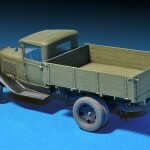 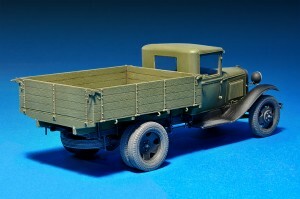 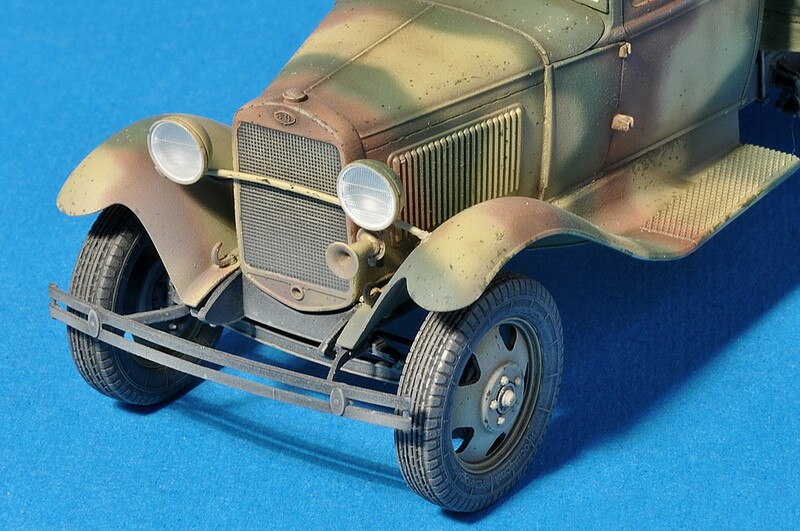 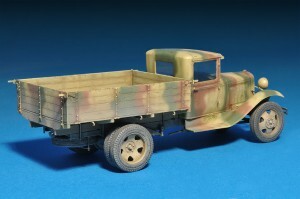 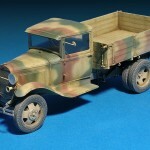 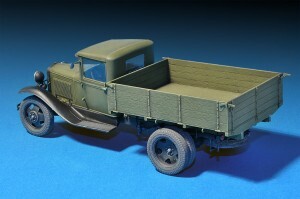 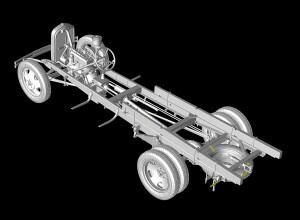 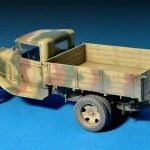 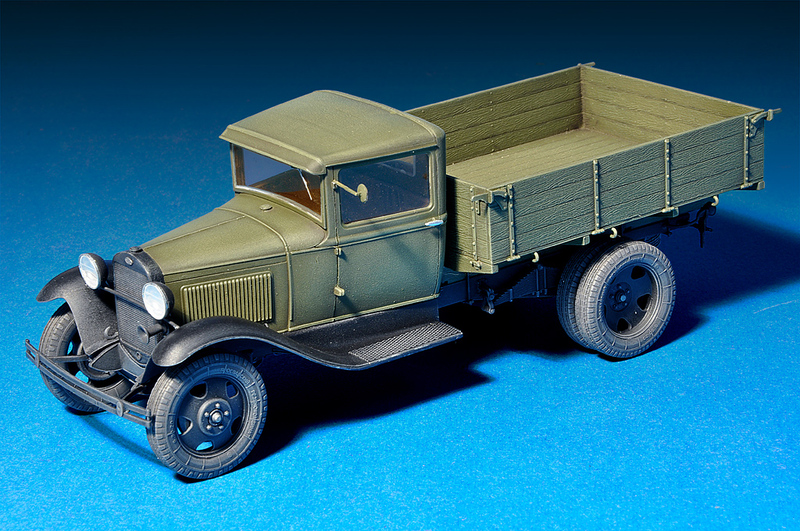 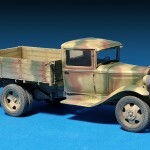 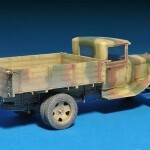 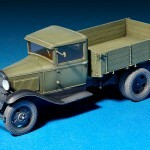 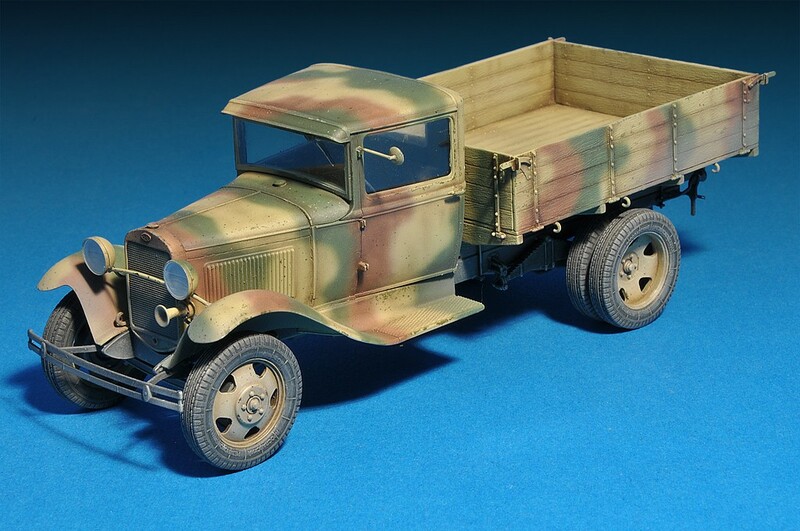 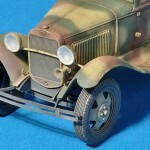 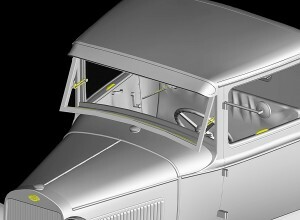 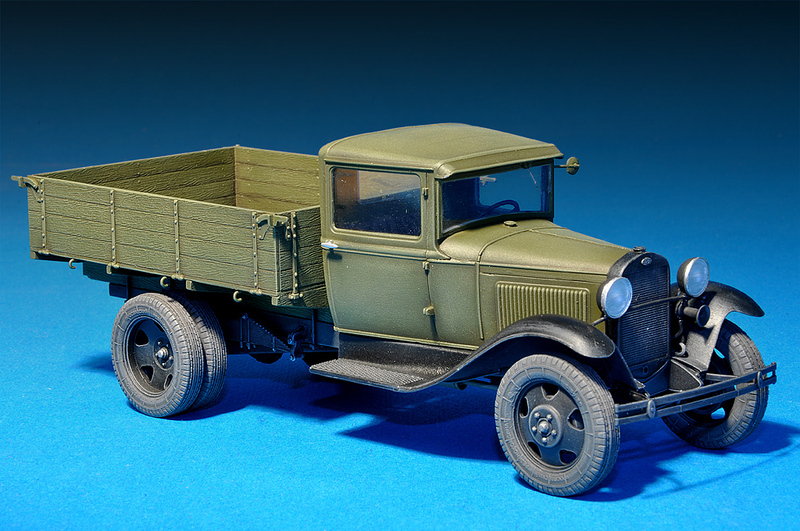 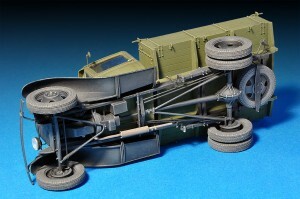 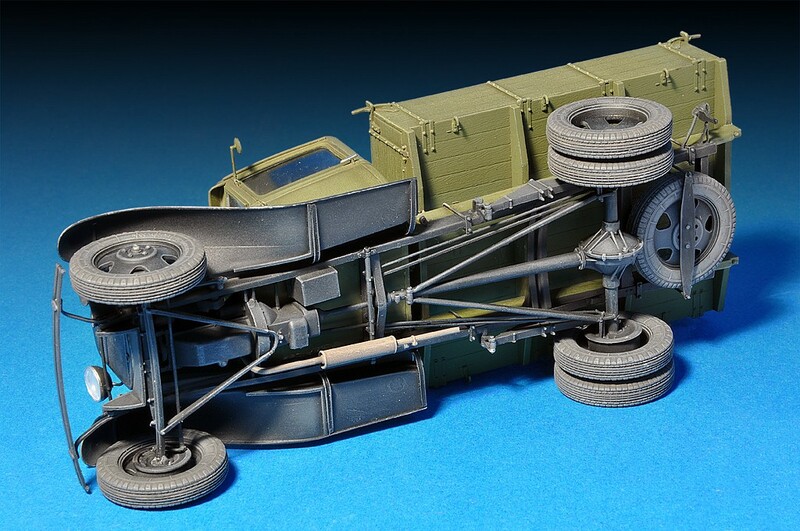 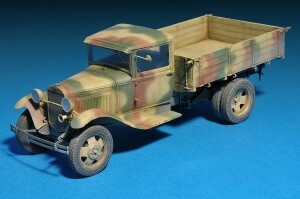 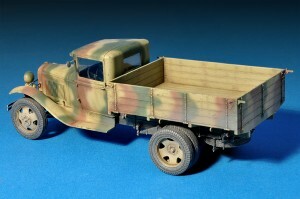 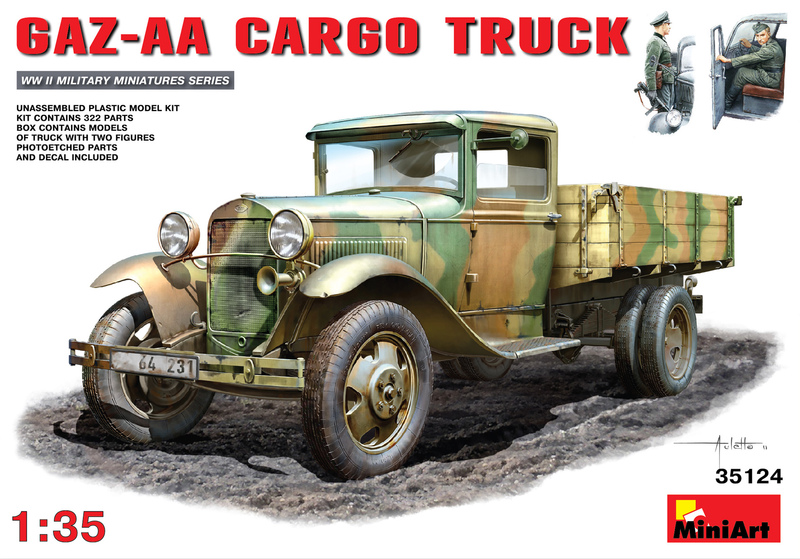 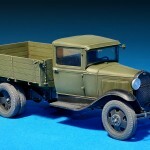 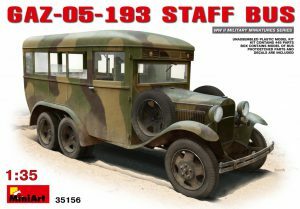 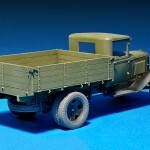 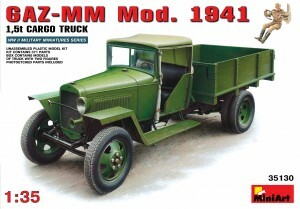 Originally GAZ-AA truck was licensed copy of Ford Model AA truck. 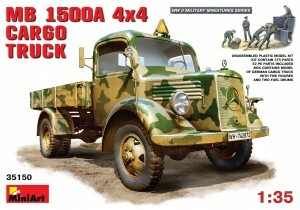 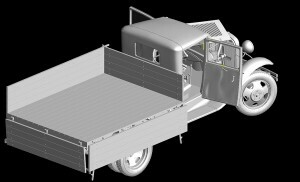 The GAZ version had a cargo capacity of 1,5 t (1500 kg). 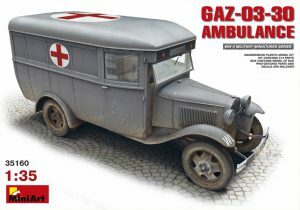 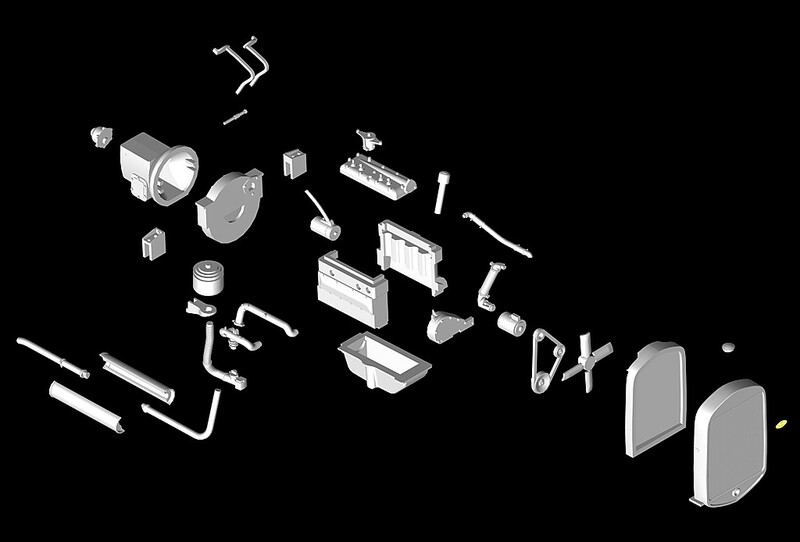 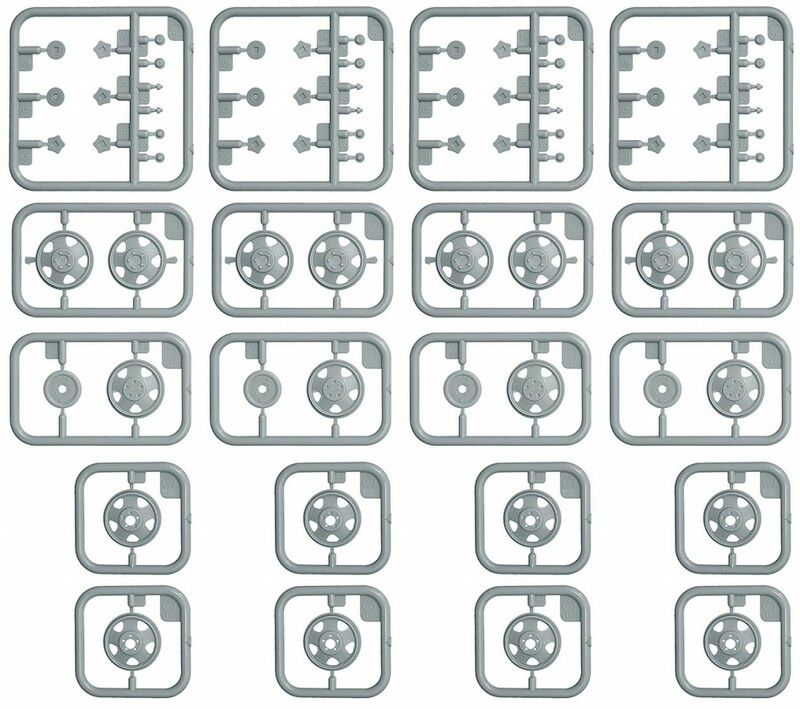 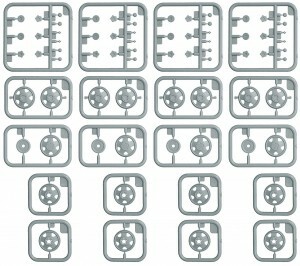 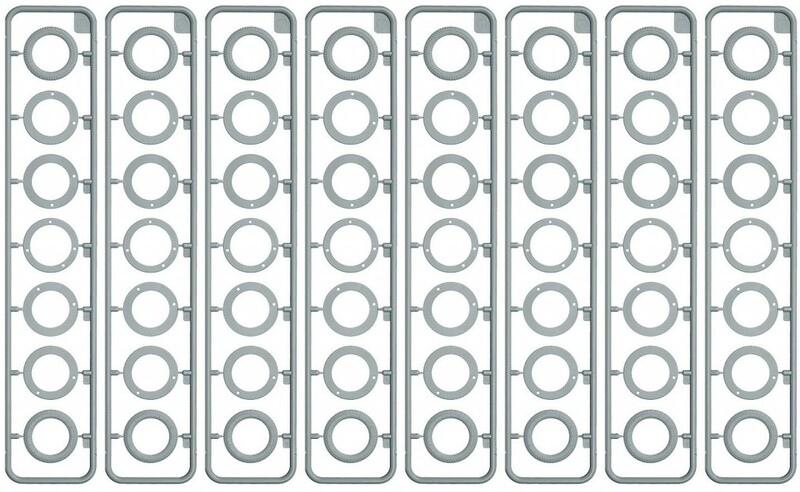 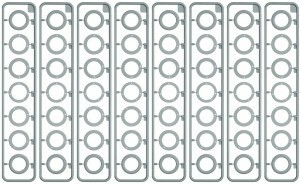 Producing of GAZ-AA totally from Soviet components started in 1933. 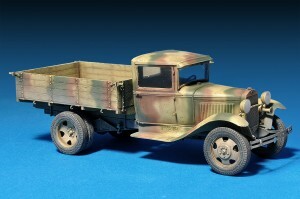 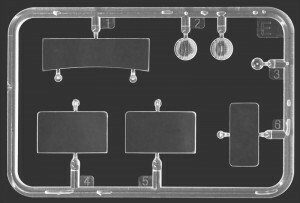 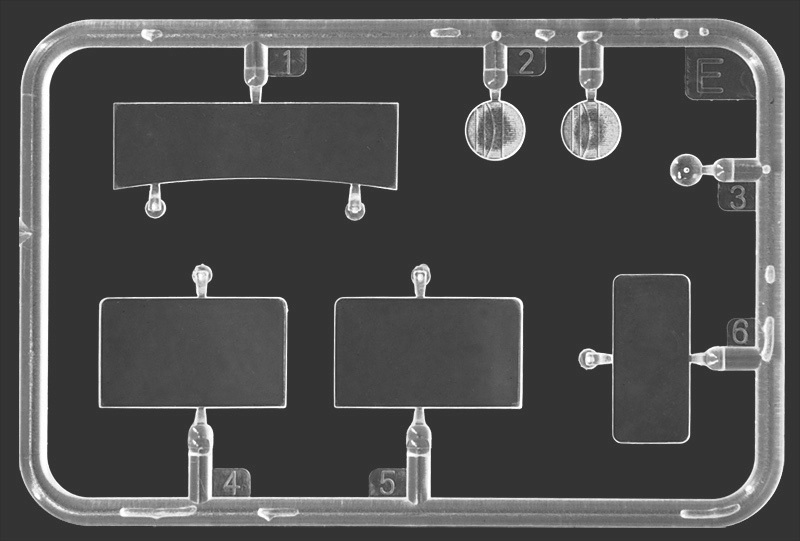 Wooden and pressboard cabs were used till 1934 after metal with canvas top cabs were used from. Truck was modified by 50-horsepwered engine in 1938. 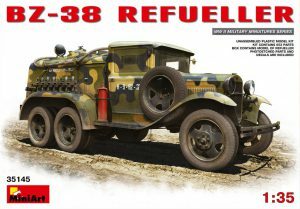 Because of pipe-line manufacturing GAZ-AA/MM trucks became the most used trucks of Soviet Union during prewar period and of Red Army during WWII. 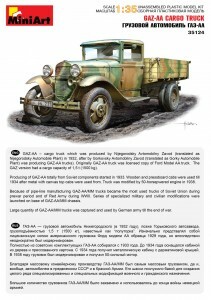 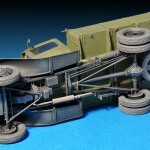 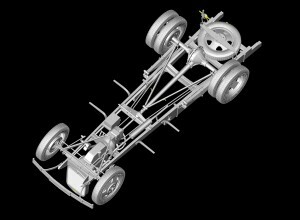 Series of specialized military and civilian modifications were launched on base of GAZ-AA/MM chassis. Large quantity of GAZ-AA/MM trucks was captured and used by German army till the end of war.